Kids stuck on writing? Can’t figure out what to write? 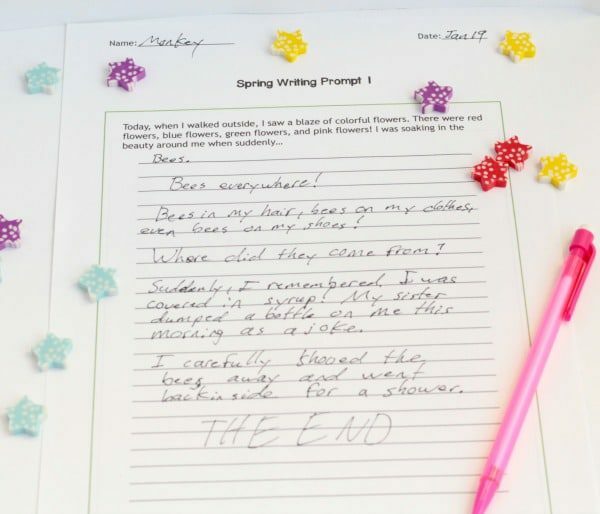 These spring writing prompts will help your kids find endless things to write about! 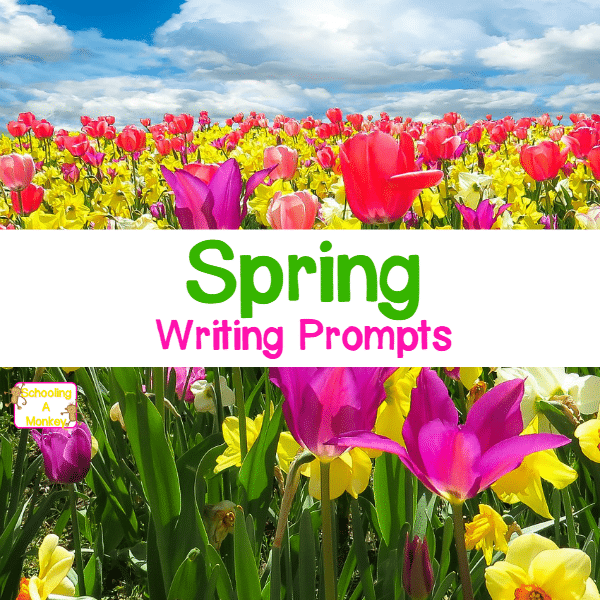 Use these writing prompts along with any spring thematic units you’re planning. One of the things my kids always complain about is writing assignments. They are hands-on kids and love active projects, but writing…. not so much. One way that I’ve found helps my kids write better, and for longer, are writing prompts. But surprisingly enough, there aren’t that many around! I was surprised when I was searching for spring writing prompts and didn’t find much! So, being the resourceful person I am, I made my own! And today, you can also use the spring writing prompts I made. 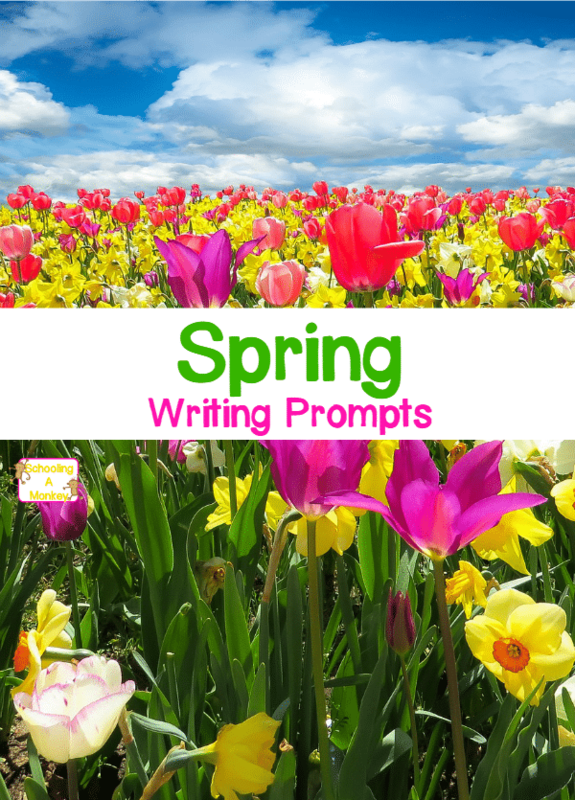 This printable package has 5 writing prompts with a spring theme. It’s perfect for your writing assignments in the spring for anything from grade three to grade six! Get the spring writing worksheets here! Monkey came up with a fun story about bees for our first writing assignment. She giggled the whole time! There are also four other writing prompts included in this package that you can try. These writing prompts are useful in the classroom as journaling pages, timekillers, and homework assignments. You can also use them at home to help kids practice writing in a fun way! Complete a Spring Unit Study! If you want more great resources visit the home base of our Free Unit Studies and find 60+ topics and 100’s of amazing unit study ideas!